We are open for the season starting Saturday, October 27th! CIDER PRESS & HOT DOGS. Let our local youth skiers cook you lunch! Enjoy a delicious grilled hot dogs, plus chips, cookies, and cider from a handmade, vintage-era cider press. 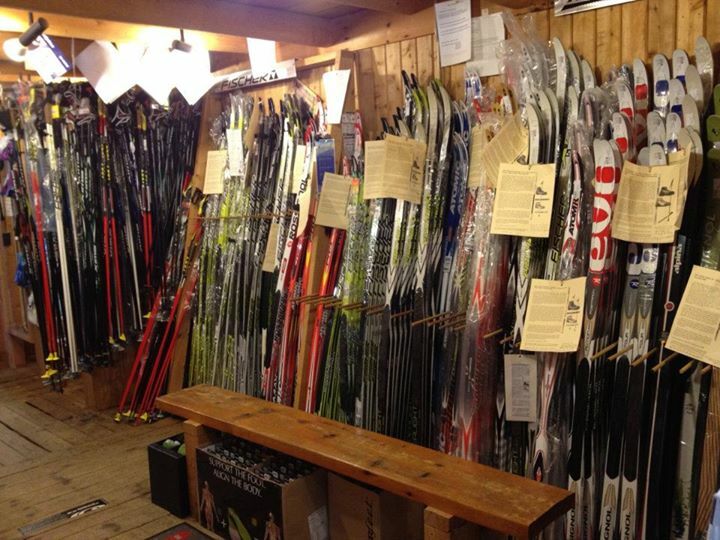 All donations go directly to the Roscommon Area Junior Nordic Ski Team. Served from 11am-3pm on Saturday and Sunday. HAY RIDES. From 11am-3pm on Saturday and Sunday, take a good old fashioned hay ride along the ski trails! Groomer Mike will rig up the tractor and trailer, and give free rides out to Trapper’s Cabin and back. Enjoy the beautiful fall colors of northern Michigan! Can’t wait until then? We’re open by appointment, plus pretty much every weekday! Just call 800-832-2663 and we’ll see you there. Or, shop online!